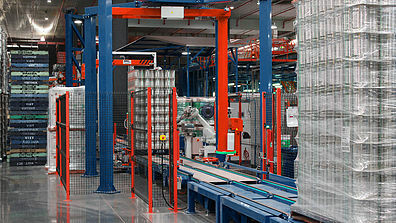 These custom built Omni Inline Machines will take you from manual labour intensive pallet wrapping to a completely automatic palletising system through the use of electronic software and computerisation. Endless options are available on these custom built machines to ensure our customised Pallet Wrapping Systems give you 100% satisfaction, being your perfect packaging solution. 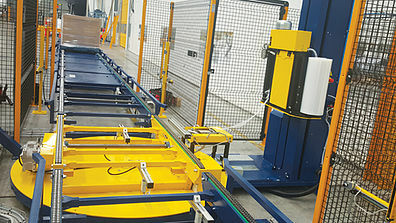 Custom designed and manufactured in Italy to every clients specific needs, the “Inline Pallet Wrapping Systems” are your clients perfect solution to every automated production or packing line. Engineered to be the most cost effective, efficient and reliable packaging solution, these automated machines are guaranteed to save you time and money.